Good day, my friend. You should know by now that my philosophy in life is that the best way to ensure reaching a destination is to enjoy the journey. Today, I’d like to show you one method you can use to put such philosophy into action: Pomodoro Technique – How to enjoy your life at intervals. People have praised Pomodoro for bringing positive impact on areas such as time management, efficiency and effectiveness, self-discipline, and physical and mental burnout/fatigue. I came across this technique while searching for one way to fix a health issue caused by computer work. If your job requires hugging a computer like me, you should be familiar with this. Very often after a long period working continuously on my laptop, I get eye strain. My eyes are sore and blurry, the muscles feel really tired, to the point of making me want to shut them down and go to sleep sometimes. On some occasions, it might get serious, I’d have a headache, the pain comes from my forehead to the back of my head, and down to my neck. What’s worse? The condition made me dread the idea of repeating another 8 hours tomorrow. Mind you, I love writing. But when this happens, working on the thing I love still feels like hard work. The eye strain makes me afraid of working long hours. Three hours non-stop is fine, but more than that and I start to have a headache. I adjusted my sitting posture (sitting with back straight, not hunching over) and the space between me and the screen. I adjusted ambient lighting in my room. I changed closing drapes, adjusted shades. I reduced interior lighting, made sure it not too bright, not too dark (I switched from overhead fluorescent tubes to floor lamps to light the room and make the ambient lighting just dark enough compared to my laptop screen). I considered changing my laptop, I wondered whether it’s because of the screen that causes the eye strain. But it’s already the best in the industry (Retina MacBook Pro). Well, they’re all nice helpers, none are definite problem solvers. Ever heard this conversation between a patient and his doc? P: It hurts when I do this! D: Then don’t do that! Simple right? Exactly what I need! But since I couldn’t stop the doing, the solution I came up with was a bit more complicated. That was when I first applied the idea of taking frequent breaks to ease my eye strain. Then I heard about Pomodoro technique, I thought that 25 minutes seem like a great length, and I gave it a try. Result? Big discovery in my life! This technique is a time management method pioneered by Francesco Cirillo (1). Basically, we break our work down into 25 minute intervals, which are then separated by 5 minute breaks. First, define what you want to work on. Then, set a timer of 25’ and start working. You keep working non-stop (translation: no daydreaming, no diversions, no minor tasks – check/answer emails/messages/tweets/Face comments, coffee-making, etc.) until the 25’ is up. Then you take a break for 5’ and repeat the cycle again. After 4-6 cycles, take a long break, and repeat the whole process. In brief, by breaking down a typical 8 hour workday into small chunks, we become more aware of the passage of time. This forces us to focus on the task at hand and avoid distractions. Plus, we’d all agree that single-tasking is certainly more productive than multi-tasking. And that’s how Pomodoro technique works. But there’s no fun to stop here, isn’t it? So, let me tell you how I’ve benefited from Pomodoro, and how I’ve used the technique in my work and life, and how you can, too. My initial encounter with Pomodoro was due to my motivation to look for a way to ease the eye strain. I’ve found that taking 5’ breaks greatly diminishes the eye strain after each work day. What’s more? I use the breaks to stretch my body, or perform tasks of different nature (Why? I explained it here). Such activities really help my brain, my back, not just my eyes. I no longer feel physically burned after work, nor dread working long hours. For those who are working with computers, I highly recommend it. What about productivity? To be honest, at first, I didn’t believe I would do more by taking short breaks IN ADDITION TO the normal breaks. Suppose a day has 7.5 working hours plus 30 minutes paid lunchtime, then the 7.5 hours give us up to 14 pomodoros, which mean we need to invest 14 x 5 = 70 minutes for the breaks (I said “invest” because it seems to me no employer would allow that). How are we supposed to get more done in one hour less? Boy! I was wrong. 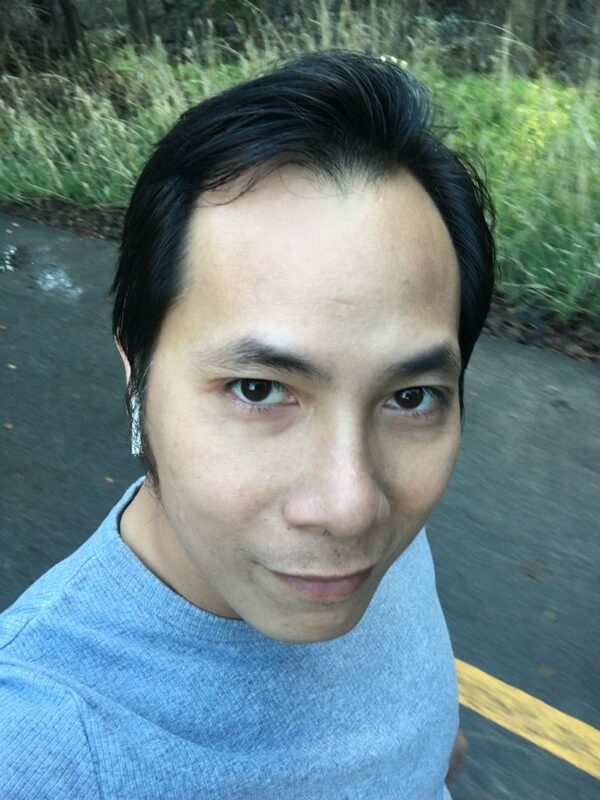 Paradoxically, I was able to not only write more, but also tackle more challenging tasks, instead of procrastinating by running low-value, low-priority errands. Now, understand that I have no record to prove my point here. And no, I won’t do the analysis for the sake of comparison. You must try the technique to see for yourself. This is just one of the many cases showing time and again that, we’ll achieve much more simply because we focus all our might on one single task and avoid interruption. I’m not the one who said this. Orison Swett Marden (wiki) said that in “Pushing to the Front”. Don’t know who he is? He’s the guy who left an orphan house to establish Success magazine. Think about that! The fact that I must decide what I’ll work on during the next 25’ minimizes my tendency to multitask. And should the need occur, I would defer it until after the break. What about trivial tasks like returning a message/phone call, or filing documents, I can easily save them for the break. So, that means better time management, doesn’t it? And I can’t tell you how many times the notification sound dragged my mind back to the present task, if I happened to be lost in the rabbit hole of Facebook/Web/YouTube surfing. What if I didn’t set the timer? Well, as long as love still lives, my drift is always deep. That’s a fact of life that I can’t remove. So we need a reminder to drag us back down to Earth at times, don’t you think? I have to confess that, I have a weak will, I’m lazy, I consistently search for the path of least resistance to do anything. I remember a typical part of my university life, which centered around rushing on big assignments and studying for final exams. And like other students, I work better under pressure (ok, I believe that). That means my uni life revolved around two things: procrastinating the whole semester and finally working like a bloody tiger to meet the deadlines. Even now, after some modest successes, I still feel incompetent in this area. How do you write a 5,000-word Goal-setting guide? A wrong question can’t have a right answer! If I’d asked myself that, I’d never made it. 5,000 words are too much for the subject “you” in that question. In fact, all I did, I repeat, all I did, was cruising myself over my draft, enjoying the work at intervals of 25 minutes, block after block. Ok, remember the time when…what did I do to achieve that goal? After I mind-mapped my plan in iThought, what did I do? But at that time why didn’t I give up? What happened beforehand? Remember that thing that Mahatma Gandhi said that taught me the art of slowing down, where should I put it so that the plan makes sense? I didn’t plan to write a certain range of word count. I didn’t have a deadline either. The fact that I set a timer before starting to work during the next 25 minutes naturally nudges me to break the current project down into doable pieces, pretty much like the way we plan steps to reach our goals. No discipline required. No more procrastination. The last point is the main reason motivating me to adopt Pomodoro into my life. Whenever I set out to achieve something, I deliberately design my game plan in such a way that the execution requires as little discipline as possible. I have a strong belief that discipline or willpower is of limited supply, so I plan to reserve it only for tough occasions. In fact, I resist the temptation to try too hard too soon. Why? This deserves another post, so stay tuned. Pomodoro allows this to happen. At work, I don’t look ahead at the coming hours. I don’t even look forward to the coming break (more on that later). The only thing I care is that I need to work for the next 25’. If I feel pain (pronounced “bored/lazy/procrastinate”), “oh, I’ll survive, somehow” (another favorite line from Witcher 3), it’s gonna be over soon, and the 5’ break is my savior. On the other hand, at play, Pomodoro allows me to live the philosophy “Everything in moderation” (I explained it here). You can use the timer function in Clock app on iPhone or Android phone. If you wear a smartwatch or Apple Watch, it’s super convenient to use the timer there by moving the app to the watch home screen. 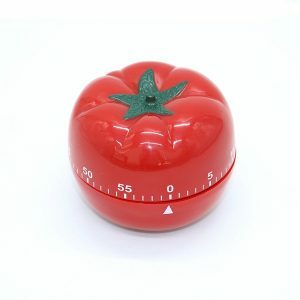 Note: Do NOT use a kitchen timer, nor a Tomato shape timer like below, nor any kind of clock timer that you can put “in your face” on your desk. Because it defeats our purpose of making work more enjoyable. Would you like to have your boss watching over your shoulder CONSTANTLY over 8 hours/5 workdays??? Ok, I did exaggerate it a bit. But think! If you put the timer where you can see it, it would constantly nag you that you’re on the 25-minute countdown. Now, how fun that is! Having the timer constantly reminding me that the time is running out makes me anxious. Sure, it helps to boil the adrenaline. But not every time I’m at work. Being constantly on fire will eventually lead to being burned out, right? Even worse, some people suggest using a kitchen timer, so that you can hear the sound of its clock ticking. This “clock is ticking” idea is like setting an extra deadline for yourself, in addition to the deadline you already have to deal with on your job. This clearly goes against my philosophy. I don’t plan to use Pomodoro to instill a sense of urgency, nor to give me the impression that I must hurry up to get the thing done within this 25’. I aim at making my hard-working days look a LOT less like hard work, by dividing the lengthy working time into short sessions, and more breathable, by knowing that I’ll have multiple breaks in between. The enhanced productivity resulting from applying Pomodoro technique should be treated as an added bonus. However, if you’re all turned on listening to the ticking sound of the countdown, pretty much as being showcased in The Final Countdown song by Joey Tempest, lead singer of Europe rock band, you might be heading for trouble. Because you might be using the ticking clock as a countdown to the upcoming break. This, obviously defeats the purpose of using Pomodoro to getting things done, because we should be losing ourselves in the work, not looking forward to the break. So, did I make my point clear enough? Don’t let the timer bother you throughout the 25’ duration. In fact, I prefer a “set it and forget it” approach. I would set the timer on my phone or my watch, then go to work. Time flies. And bam! Time’s up. Yes, people would argue that no pressure would probably mean slacking off. And what if I daydreamed, or got lost in web surfing? However, my experience tells me that, after a week or two, I got used to the rhyme and became more often aware of my driftings. In case where I’m totally lost, no big deal! It must be that I’m up to something that means greatly to me, so a simple reminder would hardly make me stop (and so would you, admit it!). By the way, the alarm’s gonna sound off after 25 minutes and my dream will soon be over. And here’s what you probably want also, to have someone (which is ourselves) to kindly, and occasionally, remind us that we’re at work, not to have a feeling that THAT someone who’s “here watching you kid!” 🤒. Besides, productivity isn’t my primary motivation here. The most important thing is that I can enjoy my work and life at intervals, not “endure” it at intervals like the way people’ve been applying this technique 😉. The way people use Pomodoro, in my opinion, seems to be similar to HIIT (High-intensity interval training – check out a comprehensive HIIT training here), a popular method of fitness. It’s a training technique, in which one performs short bursts of high-intensity exercises, followed by low-intensity exercises. Again, HIIT worked wonder for me, for 2, 3 times a week. However, applying it every day is a different story. After deciding the activity, set the timer for 25’, and start working. If unexpected tasks occur, or if someone interrupts you, unless they’re urgent, either you schedule a proper time to address them, or leave them until the coming break. Explain to them that you’re in the middle of something urgent, and tell them WHEN you will get back to them. Schedule this to your calendar. When the alarm goes off, stop working, set the timer for 5’ break. Now, many times I’m speeding up on the highway, and the timer goes off. I’d admit that it’s hard to take the exit, get out of the flow, then come back later and wonder how to take off again. Moreover, I fear I might forget an important idea I have in mind. If you’re like me, feel free to finish what you’re doing before taking the break. I’m fairly relaxed in this respect. Also, I don’t take notes of how many Pomodoro sessions I complete per day, nor specific things that I did per session. It’s because my work is quite simple, where every day revolves around writing, editing, and developing/fixing EnjoyYrJourney blog. If you work for clients, maybe it’s worthwhile to jot downs a few notes on the timesheet. Feel free to bend the rules. Bonus: If you listen to music (any music lover here? I’m in love with instrumental) while working, you can set the timer to turn off the music on your devices. Instead of getting the same boring reminder when the 25’ is over, the sudden stop of the music playback would kick you out of the zone. Here I can show you how to do it on iPhone, iPad, or iTunes on your Mac (sorry Windows and Android users, I do have these devices, but I’m an Apple enthusiast). So, for iPhone/iPad, you can turn off the music by using the Timer function in your Clock app. After setting the timer for 25’, click on “When Timer Ends” option, which opens a list of various ringtones. Scroll down to the bottom, select the option “Stop Playing”, then click “Set” at the top right of your device. For iTunes on any Mac, we don’t have similar function ready, unfortunately. So, we’ll create a smart playlist, which contains all the songs we want, which duration lasts 25 minutes, so that our Mac stops playing music after running through all the songs in that list. I learn this setup from Alleny Gavin (2). Create a playlist that contains all the songs you’d like listening to. In Music category of iTunes, right-click on the “All Playlists” on the left-hand side of iTunes window, select “New Playlist”. Rename the list. I named it “Songs for Writing”. To add songs, drag them to your list on the right side of the iTunes window. Follow the same step above, right-click on the “All Playlists” and select “New Smart Playlist”. This opens a new “Smart Playlist” window. Tick the check-box “Match music (select “music” from the drop-down list) for the following rules”. In the first box, change the option “Artist” to “Playlist” from the drop-down list. In the third box, click on whatever shows up there and select [Name of the playlist you made in step i.]. For example, I have “Songs for Writing”. Tick the check-box “Limit to”. Leave “25” in the fill-in box beside as is, and change the option “items” to “minutes” from the drop-down list. Leave the option “random” in the box next to “selected by” as is. If so, go back the rule-setting window (by clicking on “Edit Rules”) and increase the duration box 1, or 2 minutes. Try a few times. For me, I get the exact 25’ when limiting to 27’. Now, the last step is to make sure the “Repeat” option unticked, so that your Mac stops playing as soon as it finishes the list. You can change the songs by editing the rules to re-create a new list. A break is meant to give our brain and body time to refresh. So, during your break, it’s best to do something very different from what you’re working on. I’m writing on my laptop, so if during my break I search web, watch YouTube, or check news on Facebook, etc., it would be taking a break from the work, but it wouldn’t be a break to the brain, nor the body. Also, refrain from thinking/planning/finding ideas about whatever you’re working on. If you do that, your 5 minutes are not breaks, but rather pauses from your work. During my breaks, I often meditate while walking around the house, doing housework, or while eating an apple (learn how to incorporate deep-breathing meditation into daily life in my post here). Such activities recharge my energy, clear my mind, and stretch my body. You can’t believe how many things/activities you can do in just 5 minutes, if you give it some thoughts. Here’re some more to get you start: practice yoga posing, do a quick body massage, drink water, play with your pet/loved ones. This one is tricky. If your relationship is close enough, you may explain the technique and its benefits to others, and encourage them to try. By the way, if you have poor salesmanship, like me, you can always point them to this post (I appreciate it!). What’s more, everybody wins, when somebody shares (Jim Rohn). The others might consider that you treat them close enough to share something you believe, so that enhances your relationship, too. Moreover, it’ll give the two of you something interesting (of course, otherwise I wouldn’t bother writing 4,000 words about it) to talk about (other than the “Looks like it’s about to rain today, don’t you think?”). Plus, it’ll also give you two something to work together with. Working together is a great way to bond a relationship. Now, the idea of making playtime more enjoyable by timing and interrupting the activity seems absurd, right? Well, head to this post to see if I can win you round. We’ve all heard the saying: “Work hard, play hard”. Although we don’t spend as much time at play as we do at work, the physical and mental energy, emotion, and effort that we spend on our leisure activities and hobbies are equally intense, if not more, compared to our work. If you don’t believe me, try playing computer game for 8 hours straight like the way you’d spend your time at work, and you’ll see what I mean. So, for those meaningless harmful vices, entertainment and hobbies, set a timer of 25’ and prepare to stop when your need is 2/3 (65%) fulfilled. If you honestly need more, set a new timer for another 25’ or less and repeat the process. By now you’ve already got the main ideas of how Pomodoro works and how to apply it to your life. Try it out my way. I’ve got great results applying this technique. It doesn’t work every time though, yet I try to improve the technique along the way. Once you’ve tried it out my way, feel free to break the rules in any way that works for you. You can vary the duration. Some freelancers prefer 30’ blocks, as they charge clients that way; while others might settle in 10’ blocks. Or you might have only 15 minutes left before jumping to another appointment, then set a timer of 15’. You can set different durations for different kinds of activities, as long as they are not too long so you don’t exert yourself too much, and not too short so you don’t ruin the fun. Practice moderation in all things. You may change the ringtone to be more uplifting and inspiring. => Don’t rigidly follow the rules. The technique exists to help you enjoy your work and play, it’s not meant to control you. You control the technique, you master the technique, then bend it to make it work for you, no matter who told you you must do such and such to make it work. Rules are meant to be broken. So, feel free to break MY RULES (I’m happy with that, because you prove that you’re a student, not a follower). This technique is a major tool that helps me enjoy my journey. Suppose you buy my philosophy, why not give it a try? And let me know your twist, and how it works out for you. and until I see you again, be a student, not a follower!